A WORLD RENOWNED PSYCHIC MEDIUM FEATURED ON TV SHOWS SUCH AS: NBC NEWS, CBS RADIO, FOX NEWS, THE HERALD NEWS, ABC Chronicle & Many More! Matthew Fraser is an Internationally renowned psychic/medium and author of “The Secrets to Unlocking Your Psychic Ability”. He has conducted thousands of readings around the world, reconnecting friends & family with the spirits of those who are no longer with us. His messages of hope, comfort and reassurance have touched the lives of all who meet him, and is why Matt Fraser is considered to be one of the most gifted and genuine psychics living today. It all began in New England where Matt was born and raised. He was no different than any other child although he was born with “The Sight”. A psychic gift that was passed down from his maternal grandmother. The signs occurred very early. At just the age of four, Matt began seeing and hearing the departed in his bedroom at night. As a child this extraordinary gift frightened him, forcing him to push it away until his teen years. It appeared that he was already starting to be prepared for the incredible journey that laid ahead of him. Matt has always felt the need to help others. That is why in his early teenage years he became an Emergency Medical Technician working in the City of Boston. He had kept his gift a secret for years, fearing that he would not be accepted. It wasn’t until Matt looked deeper into his abilities, that he understood being a medium was his calling and life’s mission. In the years that followed, Matt would become one of the world’s most respected Psychics. Now, as an adult, Matt is doing just that. Through his sold out live events, to the his one-on-one sessions and books, Matt is on a personal mission to reconnect as many people as possible with their loved ones in Heaven. He has answered questions for thousands of people with his incredible psychic gift and has been a highly sought after guest appearing on major media outlets across the nation including: Local NBC Morning New, CBS Radio, Fox News, Coast to Coast, The Herald News and more due to his uncanny abilities. Today Matt continues his mission not only to share his gift with others, but also to provide assistance within the community through various fundraisers and benefits. Matt sits on the Board of Directors of Forever Paws Animal Shelter and The National Cultural Diversity Awareness Council, two nonprofit organizations in New England. 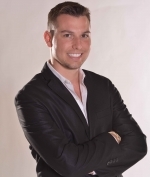 Matt passionately believes that his job as a psychic medium is not only to help those connect with their loved ones, but to help inspire and encourage others to embrace and be thankful for all the blessings that life has to offer. Watch This Video of Matt Fraser LIVE! Matt also provides Free Assistance with his Psychic Insight for Missing Persons and Open Police Investigation in the Massachusetts Rhode Island Area. Call His Office for Details. He is the best psychic I have every spoken to. So talented, incredible, it's a blessing that he gave his services on this forum.. there is no one to measure up, he is a truth teller. He is generous and it is no surprise that he has a 2 year waiting list. If you ever manage to talk to this man, his gift will light your life and you will never forget, I truly hope one day he will come back to this forum and allow people in other countries to connect .. I love him and appreciate him. Matt is amazing, His gift IMO is more powerful than anyone else I have ever spoken to. He is quick, accurate, kind, and works for the higher good always. I WISH he would come back on here from time to time.. so many need just 5 mins.. I feel blessed that I was able to talk to him when I did.. I enjoy just listening to his readings, even if I’m not being read; however, I was fortunate to get a reading the second time I saw him. He has so much energy, and I have never seen any medium get to so many people so quickly, while passing on so many accurate messages. I always leave his shows feeling so good. I had a phone reading with him a few days ago, which was amazing! He told me so many things, and the few things I didn’t know were quickly confirmed within a day. The most phenomenal psychic medium I have ever had contact with. Matt is amazing. He needs no time to tune in, the information he passes on is so exact it would dispel doubts from even the most hardened skeptic. More so, Matt is kind hearted, very empathetic and extremely patient in giving advice that serves his clients highest and best good. The fact that he makes himself available on instant chat is a blessing to everyone who needs help and cannot wait 7 months for a private session. Call him. Matt Fraser literally blew me away. I simply said "hi" and he started telling me about the pain that I am experiencing around a relationship in my life. Although he did not tell me what I wanted to hear, he gave me the best directions I have ever received regarding how turn it around. Although his instructions might not be easy, they are the most empowering, eye opening directions I have ever received. This man is literally a gift to the planet and to me. Thank you so much! OMG !!! Matt was on point, I have been stressed since the day my mother passed away, and yesterday I had a phone reading and today I feel like a brand new person, my mother came and so much to say, and everything that came was right in the money and now I feel great. I love you Matt Fraser, you made me complete !! One of the best psychic i ever encounter ! I didn't give him much information but he was able to spot my situation ! Amazing and truly gifted. I would definitely recommend him! WOW is short for what I learned tonight. Very emotional session. I was given messages from the other side and a lot of info without asking anything. He told me about my great grandfather and him being part of a war. Yes, he was part of Mexicos independence war in the 1900's. I saw Matt tonight in Cranston RI. He was amazing . I have been trying to have some contact with my mom since she died. She came through was the first reading and Im telling you I feel wonderful. Matt mentioned things that only my mom would have known . My mom was all dressed up as she was saying did I think she would not come through to me. Its so wonderful what Matt does for people. Thank you Matt for sharing your gift. I had a reading with Matt in March. He connected with my grandmother, who had passed away exactly the way he described it. His details confirmed that he was talking to her, which brought me to hears. At that time, I was curious to know about a guy I was dating. Everything he said is true about his alcohol addiction and emotional problems. I also met the new guy, who is Italian, dark eyes, and has been out of a relationship for a year. We have been dating for 6 weeks. He's the real deal. Unbelievable!!! Absolutely the Best. He is the real deal. Call him, you will not be disappointed!!! He is kind and quick to the point. He is honest and tells it exactly as he sees it, which is on point!!! Amazing!!! My reading with Matt was amazing! Knowing things such as my sisters name without me having to say a word! It was amazing how much he knew without me having to say a word. He pin-pointed what I was calling about and picked up on so much within the first 10 mins it was amazing! I have been telling everyone about how amazingly gifted he is! Matt connected to my Dad and helped guide me in my love life through him. True to his word, my partner needed 6 months to heal from his last relationship and learn to trust me. I am very grateful to know Matt is able to connect to loved ones who have passed- and he does so willingly with joy. Merci! Matt is a great person with a loving soul. He is so accurate in his readings provides you with so much support, and is worth getting to know as a person. He desires to help others and is truly connected to spirits on the other side. Your the best!!! Matt was amazing, I didn't say a word, he just started giving me messages, from my dad, my mon and then my husband, things that no one would know unless it came from them, he gave me names, facts that I had forgotten, I could not believe the things that he knew. since my reading I am so much at peace, my outlook in life has changed, just knowing that we have a chance to connect with our loved ones after we leave this world is the best comfort that I could ever ask for. I highly recommend Matt. I HAVE PERSONALLY BEEN TO 3 OF MATT FRASER'S PERFORMANCES. I HAVE TAKEN FRIENDS TO SEE MATT AND THEY HAVE BEEN COMFORTED IN CONNECTING WITH THEIR LOVED ONES. HIS PSYCHIC ABILITIES ARE "RIGHT ON" AND I AM A BELIEVER THAT OUR DEPARTED LOVED ONES ARE STILL WITH US IN SPIRIT. MATT REAFFIRMS THAT BELIEF! Matt's abilities are truly amazing. I have to admit that I was skeptical at first, trying to be cautious of not giving any information. I did not have to say a word Matt picked up on a situation at hand and gave me information nobody else could have known, from names to the time that me and my boyfriend had met Matt just knew so much and gave me the clarity that I needed. Matt was amazing and honest. From the moment he got on the phone, he was accurate and super clear. The reading with Matt was so clear and understable that it gave me the ability to make some serious changes in my life. Since making these changes, my life has been so much easier and stress free. He is totally amazing at what he does. He is truly gifted. Hey Matt Thank You so much for my reading. you told me that i would end up meeting two kids eric and kevin and both of them i met! i was also amazed that you knew that my grandmother had given me a jewlery box that my grandfather had given to her on her anniversary many years ago. Also you were able to pick up on names of all the people who are surrounding my life right now. Thank you again and God Bless! I had a reading with Matt this afternoon. He was amazing. I made a list of question I wanted to ask at the end of the reading. When the reading was over, I reviewed my list and realized he had already answered all of my questions. I was looking for guidance and comfort and got so much more. It was just amazing! Well Matt you never disappoint me. Matt started like gangbusters. As soon as he said his prayer he started by asking me a question and he said ok now I have alot to tell you. He started and didn't stop. He calls it like it is - he is AMAZING! If you are looking for the BEST psychic you needn't go any further. Matt is the REAL DEAL. He is sympathetic, compassionate, funny and right on the mark. This was my third reading and it only gets better. Matt you are a phenomenal person and reader. I attended a channeling session last night with Matt Fraser and it was awesome. He was authentic and compassionate. He related very specific information that provided healing and comfort to me. It is amazing to me how this young man possesses such a gift. I am so grateful. Thank you so much Matt! Your reading was unbelievable and you cannot imagine how much you helped me. I thank you from all my heart and I send you many blessings!